How to store the fresh beans properly, so they don’t dry out and lose flavour. I posed your question to Craig Nielsen, chief executive officer of Nielsen-Massey Vanillas in Waukegan, Illinois. He says a really stiff bean is one that is starting to dry out and has lost some of its essential oils – those oils that convey flavour and fragrance. “Gourmet vanilla beans should be pliable enough so you can tie it into a knot,” he says. Nielsen recommends storing vanilla beans in a tightly sealed container, either a glass jar or double bagged in plastic bags. Keep the bean away from light or heat – a dark cabinet at room temperature is best. Do not refrigerate the beans, he says, because they can get mouldy. 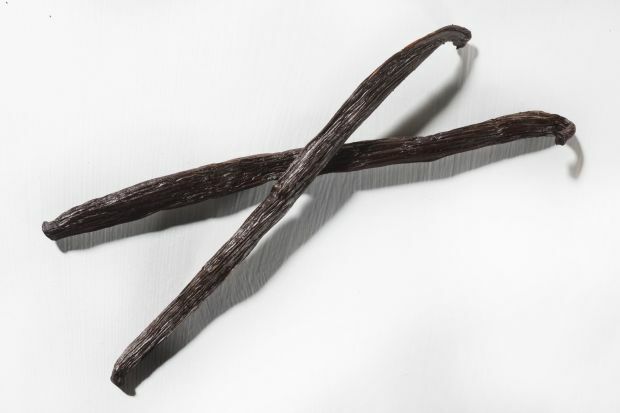 How can you tell if the vanilla bean is too dry when buying? Use your eyes and ears. “You are looking for a nice brown colour,” Nielsen says, adding that the bean should look moist. If the bean is jarred, shake the container gently. You will be able to tell if the bean is brittle by the sound it makes hitting the glass.